Once again, we will be saying good bye to the past year and welcoming the new one in the best way ever: ON THE MATS. Come join us in this traditional year end practice followed by light snacks and a toast. Friends from out of town are welcome to bring their sleeping gear and spend the night at the dojo. *Every year, the Aikikai World Headquarters hosts a very special tradition called "Etsunen Geiko" (year-end practice). 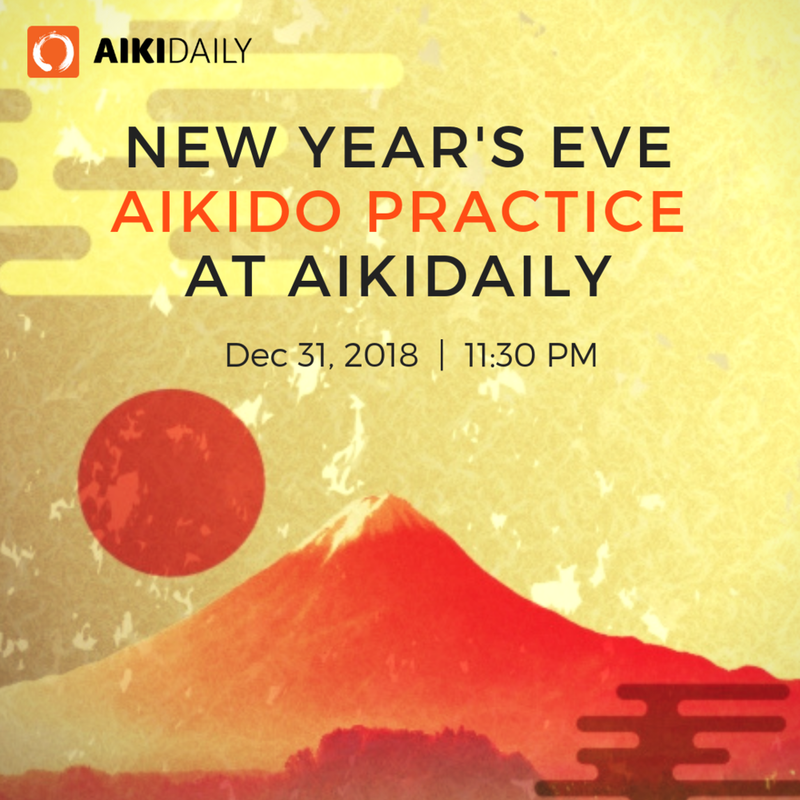 Aikido practitioners gather from far and wide to train together during the last half hour of the year and first half hour of the next. After class they celebrate the start of the year with light snacks and Japanese sake.